The Tommyhawks will be heading to Midland as part of free music series. Pic: Tommyhawk. THE City of Swan’s free live music series Live at Locale kicks off this weekend. The event series runs over four Sundays between April 8 to May 20, with a fresh line-up of music acts hosted between 3pm to 7pm on the corner of Cale Street and The Crescent in Midland. 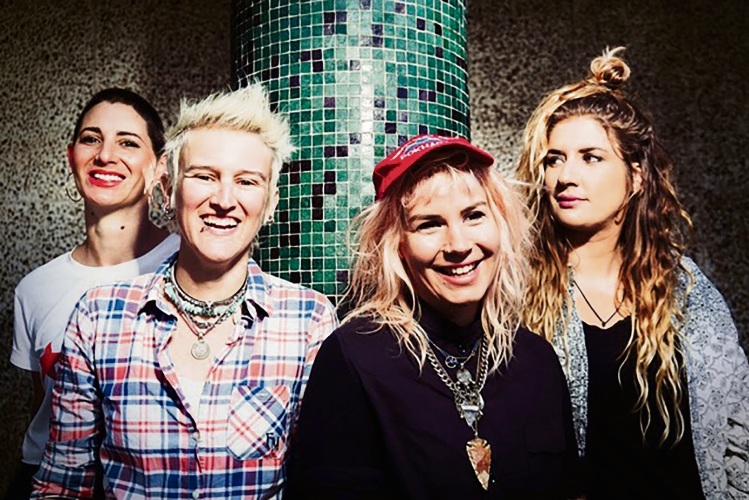 A range of West Australian acts are set to play including headliners Elli Schoen, The Tommyhawks, Lucy Peach and the Bambuseae Rhythm Section. City of Swan Mayor David Lucas said each act offered something new to the audience, with artists playing blues-inspired music to indie, dance and hip-hop. “Live music shows are a chance for us to unplug and enjoy the experience with our family and friends,” he said. Mayor Lucas said the Locale Event Space was the ideal spot for live music, recently undergoing a makeover which included a pop-up food and drink space and artwork upcycled from the old Midland Railway Workshops. “The City sees the iconic Cale Street becoming the new main street for Midland, with a large public piazza planned for the area as part of the Midland Oval Redevelopment,” he said.